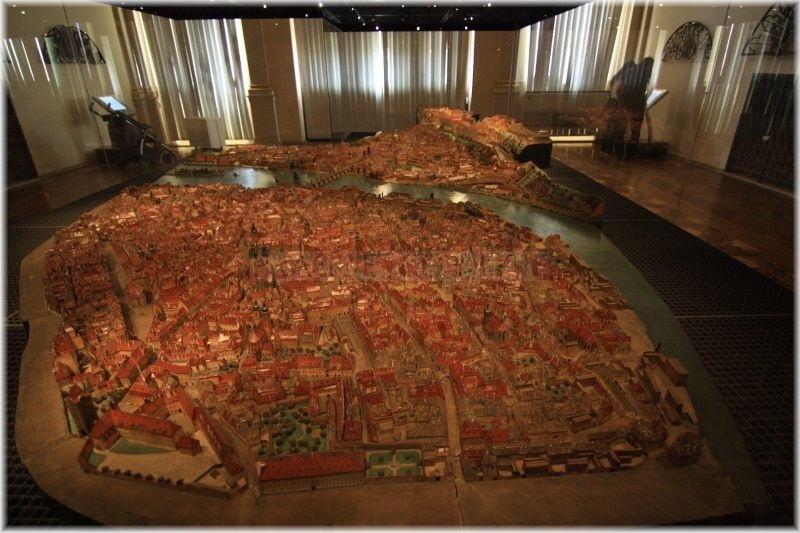 The Langweil model of Prague. Prague in prehistory. Mediaeval Prague. Prague at the end of the Middle Ages and the start of Modern Times. Baroque Prague. A primer for visitors to historical sights. The Langweil model of Prague. The Langweil model, created in 1826–1837, is a unique exhibit and the most attractive one in the museum. 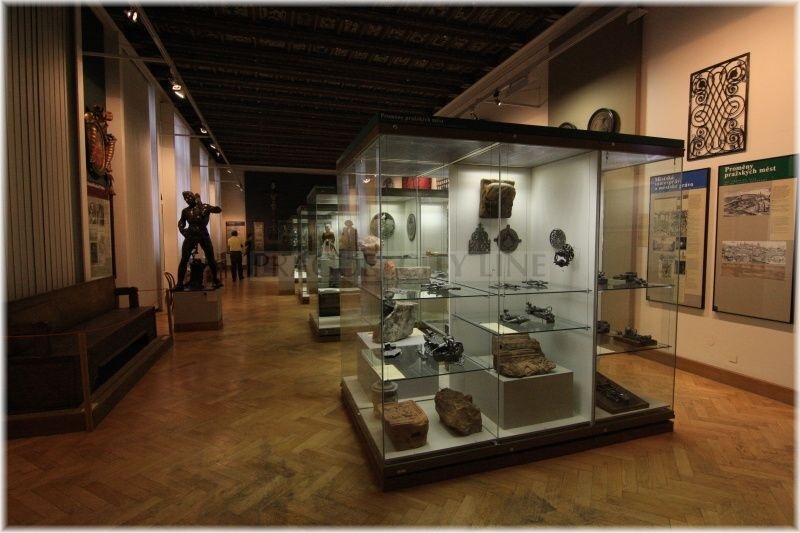 The permanent display is dedicated to archaeology of Prague from the prehistory to the arrival of the Slavs in the Early Middle Ages. The introductory sections bring information about the beginnings of archaeological research in Prague and some significant figures of Prague archaeology as well as about the development of the settlement of the Prague basin from the Palaeolithic Era to the Early Middle Ages. 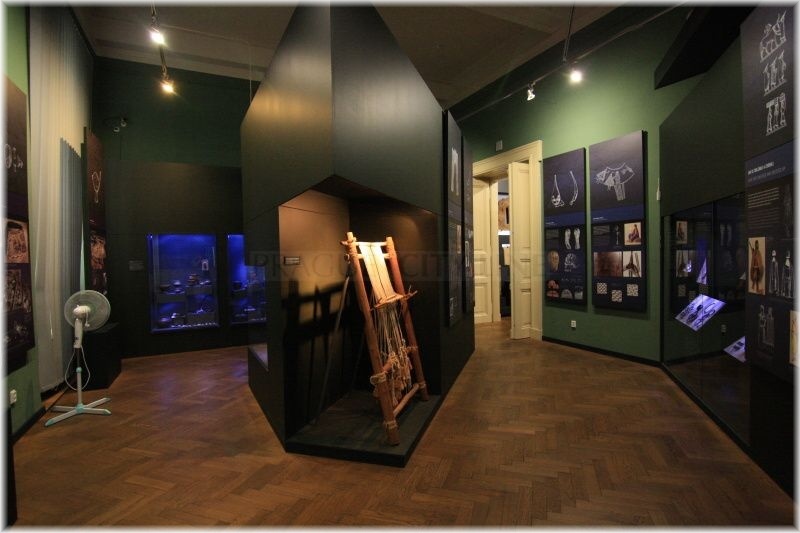 The exhibit begins with a section on the formation of Prague Castle, Vyšehrad and the expansion of the settlement of Prague in the 9th – 12th centuries. With the founding of the Old Town and Malá Strana in the 13th century and Hradčany and the New Town in the 14th century the Prague conurbation became a major European centre. A large number of artistic treasures and documents showing how people lived in Prague have been preserved from the time of the “shining and dark Baroque”. Among the City of Prague Museum’s best collections is its collection of Baroque sculpture but a lover of art visiting this part of the exhibit will also enjoy paintings by Škréta, Brandl, Hirschely and Grund. This exhibit is devoted to the unique architectural monuments that today’s Prague has inherited from its ancestors. Some of them have been preserved until the present day, others have been rebuilt or demolished and we recognise them only from fragments but this does not change in any way the importance that they had for the history of architecture. daily except Mondays 9 a.m.–6 p.m. The last Wednesday of the month: open until 8 p.m. The City of Prague Museum (Muzeum hlavního města Prahy) 50.089929, 14.438322 The City of Prague Museum (Muzeum hlavního města Prahy) The Langweil model of Prague. Prague in prehistory. Mediaeval Prague. Prague at the end of the Middle Ages and the start of Modern Times. Baroque Prague. A primer for visitors to historical sights.